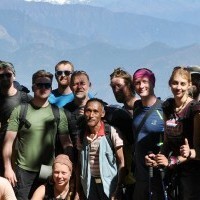 Our Yoga, Meditation, Retreat and Trekking to Nepal 8th-22nd September 2016 is getting close to full so if you are thinking of participating do so quickly. If going to Nepal and seeing the Himalayas is one of your dreams then this trip will be one you will never forget. 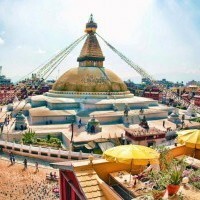 On this trip you will be introduced to Himalayan culture visiting the Langtang region which borders on Tibet due north of the Kathmandu Valley. Most of the people living there are Tamang. This trek will take you into the wilds of the Himalayas with amazing rural landscapes and beautiful rugged mountain scenes, it is literally a walker’s paradise. The trip does focus on meditation and yoga and there is time every day set aside for the practice of yoga and meditation with an instructor helping you along the way. 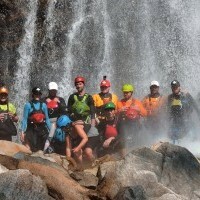 The 15 days will include yoga, meditation and white water rafting. If you would like to include mountain biking in your trip to Nepal then you may wish to consider our Annapurna Trek which is also getting close to full. We encourage you to book quickly to secure your spot. This 14 day tour is not to be missed, as it includes tracking mountain biking rafting and kayaking through the most stunning views you’re likely to see. From Pokhara, which is the second largest city in Nepal, we drive to Nayapul where the adventure really starts. Over the 14 days you will experience the most amazing sites you’re ever likely to see through forests and rhododendron, through villages with superb views of sunsets and wonderful Himalayan scenery. You will have the bike ride of your life to the point where you catch a raft and brave the waters of the Kali Gandaki River. The two ends up in Kathmandu the shopping expedition and to stay overnight. Don’t miss this. Time is running out.